Richard Leggin Architects was founded in 1983. We specialize in distinguished residential architecture, with a strong emphasis on details. As a relatively small practice, our clients receive the benefit of direct involvement of the principal on all phases of their projects. This continuity of service and close attention to our client's needs throughout the course of each project has been an important contributor to the success of the practice, and accounts for the long-lasting relationships we maintain with many of our clients. From its inception in 1982, Thomson Remodeling Company has sought to deliver the highest level of craftsmanship to residential and commercial remodeling projects. We pride ourselves on our familiarity with the people in our community, our historical and structural knowledge of the homes in our area, and our continuing effort to improve our professional skill through our participation in industry workshops, conventions, round table panels and continuing education. A family-run corporation, Thomson Remodeling Company provides the most personal and dependable service possible to its residential and commercial customers. Remember, we’ll never use high pressure to get you to choose us, but we’ll always ask for your business. We don’t believe in telling you what you need, we believe in telling you what your options are, and we believe in helping you make sound decisions about your most important asset -- your home. We cater to people with busy lifestyles who do not want to manage the day-to-day activities required to run complicated remodeling projects. Our customers find that we take out much of the worry about home remodeling. We believe in maintaining a presence in the community. We also believe in providing a positive, professional and ethical work environment so that our employees and their families can thrive. If you are looking to remodel your dream kitchen or bath, give us a call today at (410) 469-6436 or click the "Contact Me" button to send us a message. We look forward to working with you! Kitchen Master helps you fall in love with your home again. Spend quality time in your custom kitchen. 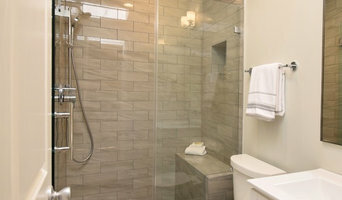 Relax in your remodeled bathroom. Unwind in your finished basement. You’ll enjoy the renewed comfort of your remodeled room. 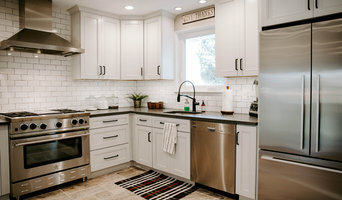 Remodeling your kitchen, bathroom or basement is an investment in your home. The right improvements go a long way, adding thousands of dollars to the resale value of your house. We’re a Maryland-based company with years of remodeling experience. 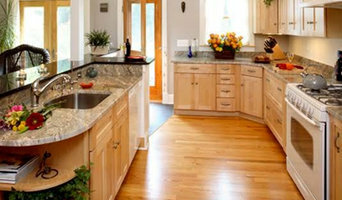 We specialize in renovating and remodeling kitchens, bathrooms and basements. At Kitchen Master, we don’t hire subcontractors because we trust our skilled team. We have a licensed electrician and plumber on staff, to ensure your project exceeds the highest safety standards. Taking this step means your home will be worth much more in the long run. Until then, you get to sit back and relax. Enjoy your new luxury bath. Enjoy your spacious kitchen with family and friends. Enjoy your home like never before. With over 25 years of experience, our mission is to provide the highest quality of professional design, building and masonry services for our clients, integrating their dreams and budget into actual construction.